Over the years, we have come to the conclusion that not everyone will love festive holiday décor which is why we have tried to bring a little bit of everything for everyone this holiday season, which is why this post is very much needed. If you love Christmas yet hate the cheery colors that come with the season you might want to look into having a black Christmas tree. In fact, they have become quite popular this year and might just be our favorite holiday décor trend. 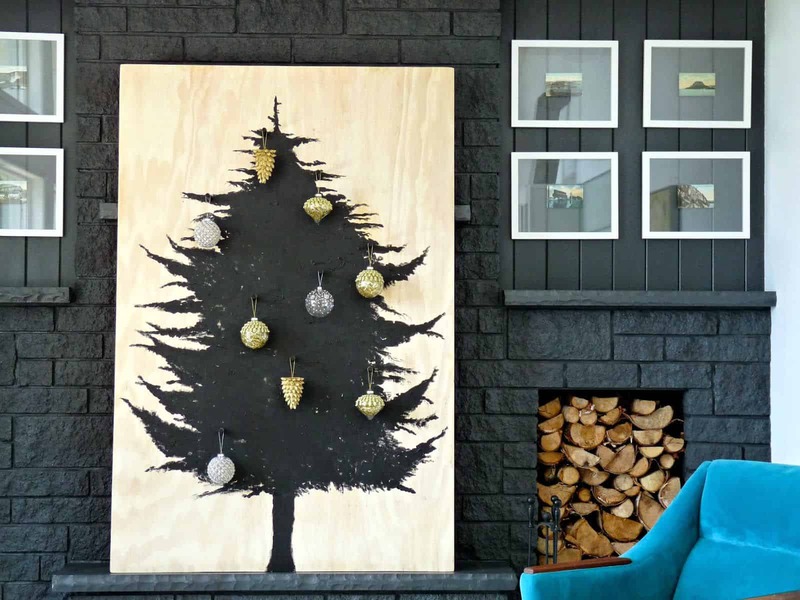 The following black tree will bring the daring twist to your décor you seek. Bring on the gold for a contrast that brings the tree back to life, or even add a blend of silver for a grander effect. 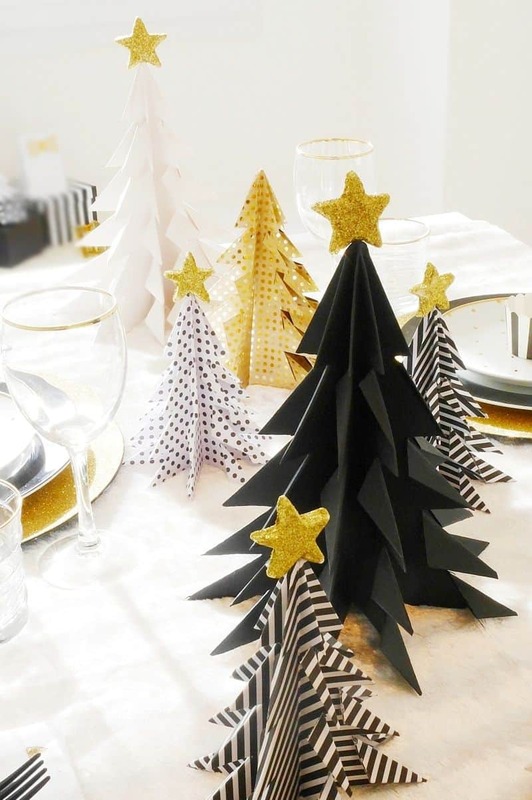 Black and gold have always been a classic pairing, therefore; it comes as no surprise that gold is an excellent option when it comes to decorating your black tree. Glittery gold elements are perfect to bring light to an already dark, beautiful tree. Just because its small does not mean it can’t make the big impact its intended to make, add ornaments in different sizes to bring a bold appeal. If you aren’t prepared to embrace an all-black full try, try a smaller one instead. Small trees are still on trend, and black ones are even more. The idea is to have your new tree be a little bit smaller so that it makes a big impact on its very own, due to its color. If you don’t want to have a construction paper display consider having a painting of a tree instead. Add ornaments to your painting for a 3D effect. 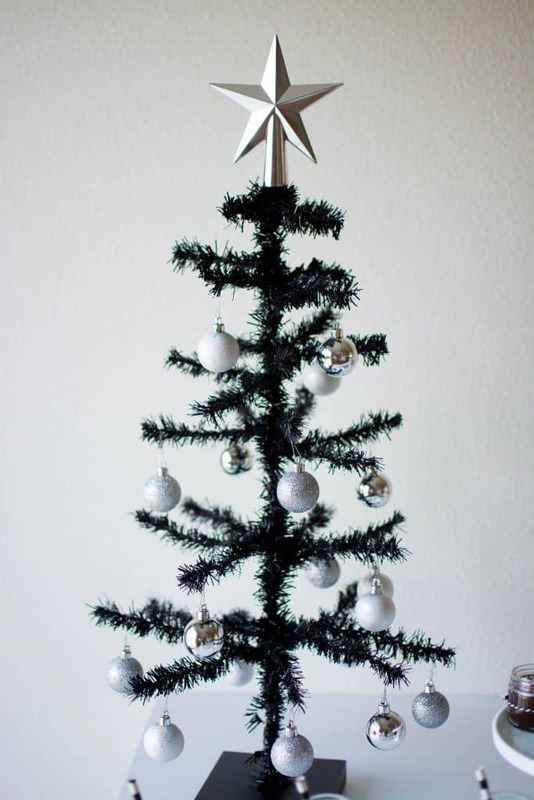 Have an itch for a black Christmas tree but don’t want to purchase one? If that is the case it is time to take into consideration making your very own out of construction paper. The trick is taking a large piece of construction paper, cut out a Christmas tree figure, adhere to your wall and decorate around it. This will bring an alternative feel that is still chic and even cute. Whether you use multiple colors or textures you want to embrace your personality and make it stand out from most with a display that feels like you. A black Christmas tree lends itself for multiple different color combinations, and that is why it’s so personal to many. Add a personalized touch to your tree by using colors that work well with you and your personality. Furthermore, consider adding bits of white to brighten the overall look without taking away from the other hues that bring your personality to life. It’s a beautiful thing to brighten up a black Christmas tree and make it come to life. It adds texture, personality and makes the space come to life. 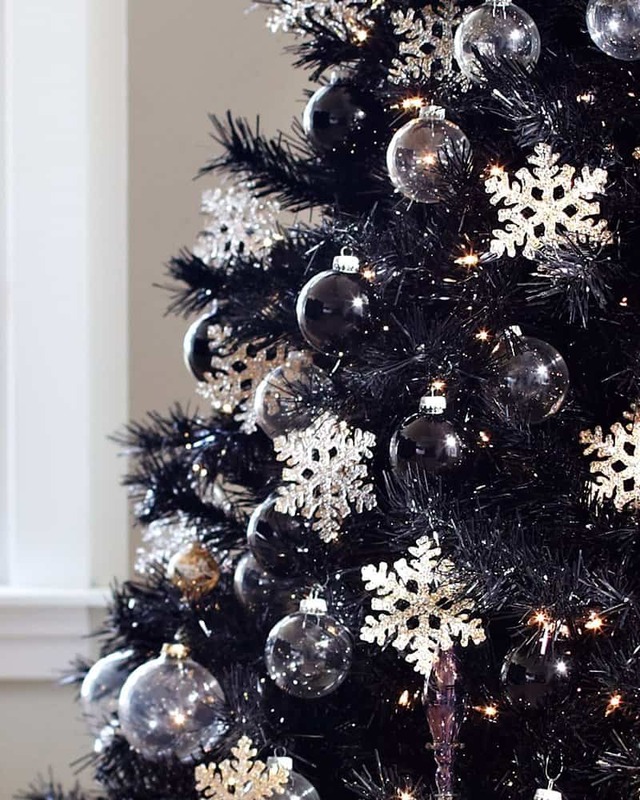 If you truly want to make a bold statement with your black tree use white and silver décor. Using these contrasting hues brings your tree back to life with little to no effort. Furthermore, it allows you to brighten an already dark tree. Whether you want full on black decor or a hint of something new, consider glass ornaments as the perfect in-between appeal that works perfectly grand in its very own fashion. Want to remain in the black family? 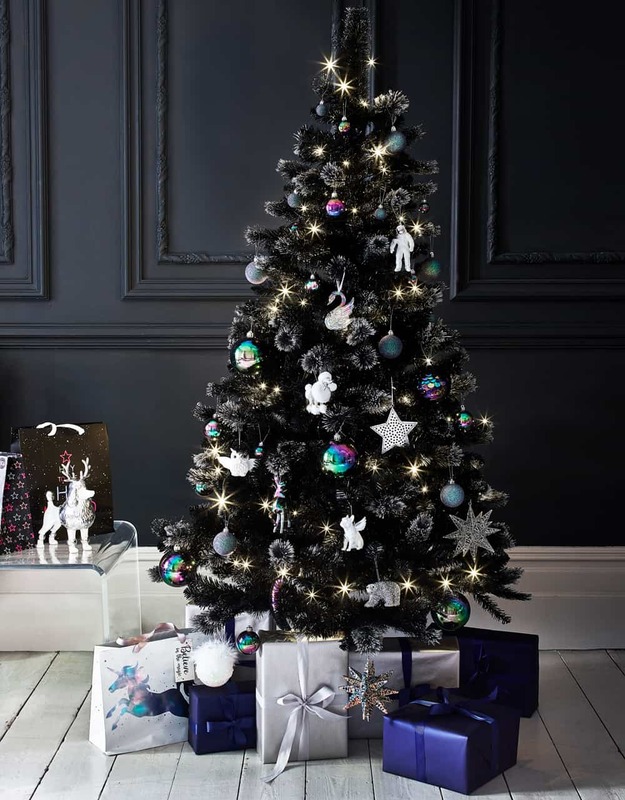 If the case remains that you want an allover black tree the key is adding texture such as feathers that are black, ornaments that are mainly black and/or even black daring bits such as ornaments that have other colors weaved into them. When you add lights you want to consider not adding any ornaments, yet keeping the tree simple and allowing it to glow on its own. Just because the tree is dark does not mean you can forget the lights. Light fixtures are perfect in any tree, particularly darker trees. They make a huge impact due to having those bits that bring the tree back to life. Consider adding multiple rows of lighting to bring a unique twist to the space without taking away from the edginess of the tree. Add ornaments that coordinate with the ombre section of the tree that you’re decorating to further emphasize the ombre effect. Are you completely in love with the idea of a black tree but aren’t ready to embrace an all back tree? Stipulating that is the case, consider an ombre tree! Yes, an ombre tree is the best of both words in the easiest format. You could purchase one that comes in an ombre format already or you can create the look yourself with a gradient effect using ornaments. The best way to bring color to a black tree is to go bold with the hues that you select, the bolder the better. Bring on the color! 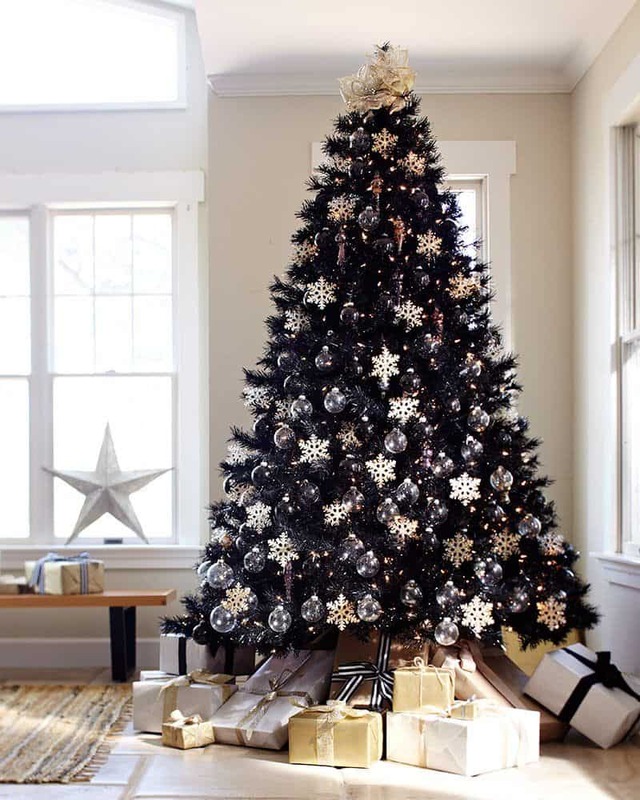 A black tree lends itself as a clean palette; therefore, you can decorate it with many colors as you would like, from beautiful whites to daring pinks, the options are truly endless when you use a black tree as your statement piece. Create a beautiful display by simply having multiple different DIY trees that bring your space back to life. While we all love the beauty of a black tree indoors, we love a DIY project as well. 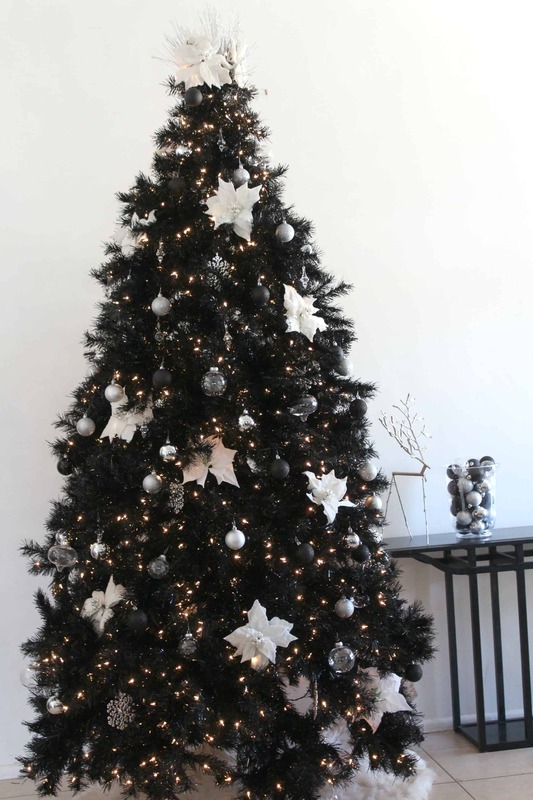 Take it upon yourself and create the perfect black tree that works for you and your personal decor. This works wonderfully well as a centerpiece for a holiday party or as part of your dining table. 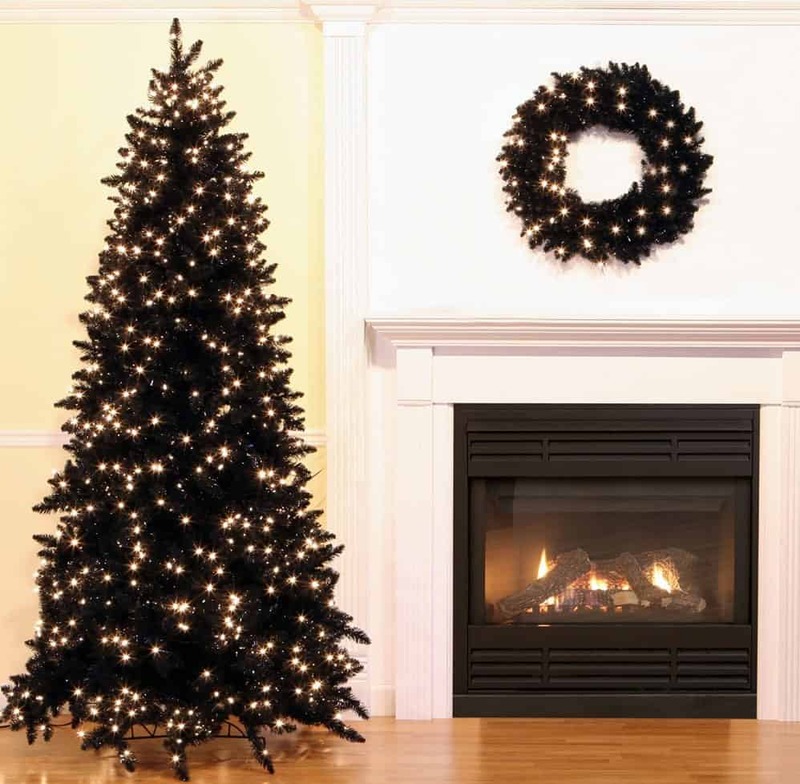 Black Christmas trees aren’t for everyone, but they sure are fun to have. Which of these are you interested in trying at your home? Please share with us below. 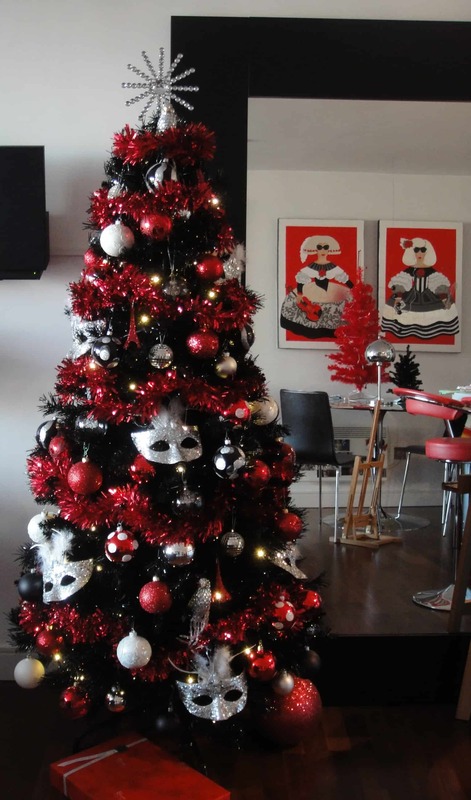 The post Black Christmas Trees That Bring A Daring Twist To Your Decor appeared first on Trendir.